Melbourne, Sydney, Adelaide, Perth, Brisbane, Gold Coast & Sunshine. We Come to You. At Home or at Work. 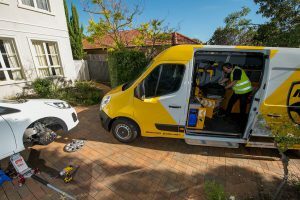 Unlike your traditional tyre stores or workshops dotted around Melbourne, Sydney, Brisbane, Adelaide or Perth, we can change tyres anywhere. Our tyre services are designed to offer convenience that you would like to come back to. Whether you work in the city or are visiting a friend nearby our expert fitters can come to your location and change your tyres. They are used to working in driveways, carparks and hills and to ensure your convenience are prepared to go almost anywhere. 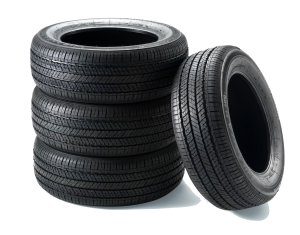 Because we have access to a wide range of brands our experienced fitters can recommend the tyres that will suit your Car, 4WD or Van best at a variety of price points. They can even look at your situation including where you drive and how often and then make a recommendation that will save you money and mean you don’t need a tyre change for a long time. Unlike heading to your brands local tyre store and waiting for them to finish the job we can offer a far more convenient service. As a Mobile Tyre Shop our expert fitters come to you at a time and place you nominate, so after searching for a “tyre shop near me”, our service allows you to save time and get on with your life. We stock almost every brand, don’t cost anymore and come to you, whats not to love? Simply get a free quote today and let us do the hard work for you. We operate 7 days from 7am to 7pm. So if you are time poor during the week, it’s nice to know we are open on Sunday! We Service All Areas of Melbourne, Sydney, Adelaide, Perth, Brisbane, Gold Coast & Sunshine Coast.